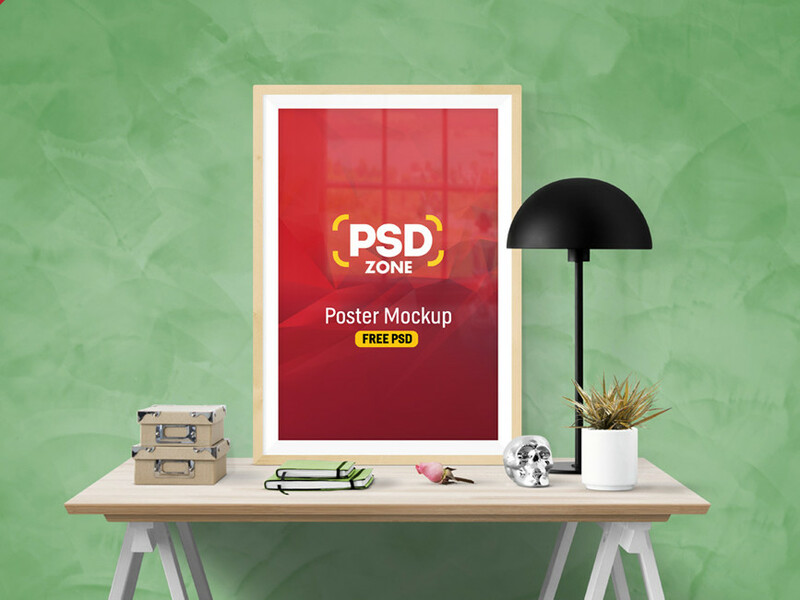 Download Free Poster Frame PSD Mockup. Showcasing your Picture,Photo, flyer or Poster art work in a realistic indoor environment . Just open PSD Mockup file using photoshop and easily place your artwork inside smart object. Nice work done by PSD Zone.